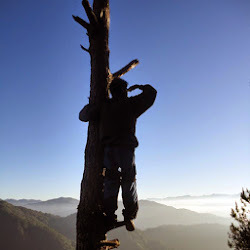 Before I became the free-spirited nature-lover, I was a heritage hunter... or maybe, I still am. Actually, I realized that I still have that side of me when my better half has expressed desire to visit Taal Heritage Town in Batangas. Yup, the old quaint town famous for the balisongs, old houses, and that one big church said to be the biggest in Asia. At tulad pa rin ng dati, excited pa rin akong makakita ng luma! At 7 o'clock in the morning, we arrived in Taal Heritage Town. It felt good to be walking down the old streets of this old town on a perfect sunny day. At long last, I'll see and experience heritage in this side of the country. 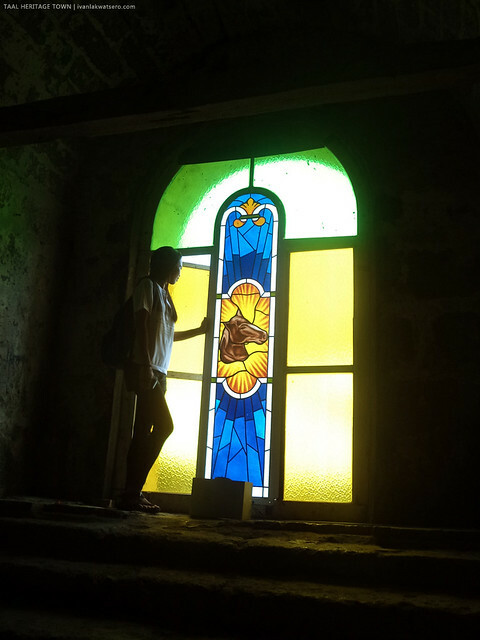 The thought of visiting old houses, and old folks with old stories, as well as the old big church. Oh, speaking of that church, everyone seemed to be heading there that morning. It was Sunday nga pala, the day of worship. We're both Catholics, so might as well just attend the mass that morning inside the Basilica of St. Matin of Tours. And besides, a part of me tells that I need to be connected again to Him. Now, someone's starting to sound so holy. After the mass, it's time to get back to business. Nasan na nga ulit? Ahh, the old houses, the old folks and their old stories. 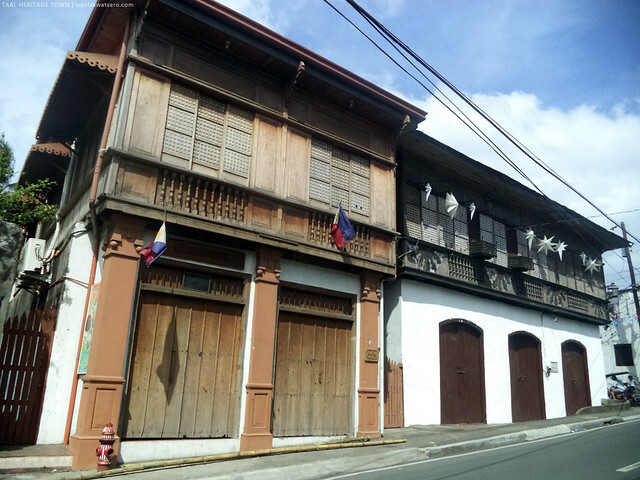 I was told by blogs and mouths that this old town harbors some of the best-preserved houses—which dates back to the Spanish-colonization era. And by the looks of these houses, one can say that these aren't of a simple family but of the illustrious and influential ones. Now who wouldn't be excited for a first hand experience of all these awesomeness? As we walked out of the massive basilica, the first building we indulged our eyes in is the old Casa Real found just across plaza. Being the second most prominent structure in town, it will surely not go unnoticed. 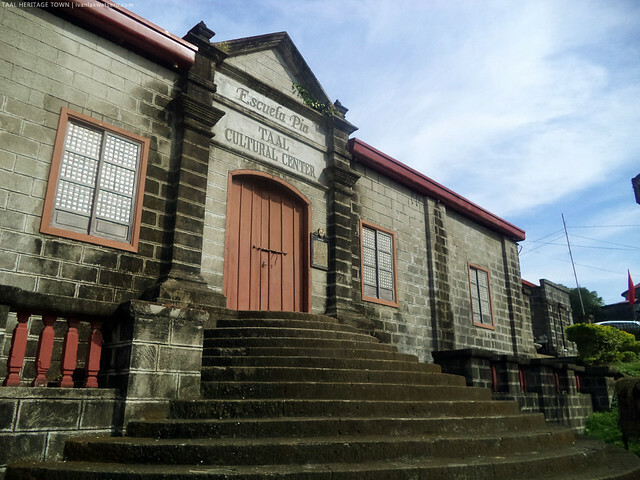 Then there's also Escuela Pia, a classy stone building that used to be a school (now, the Cultural Center building). 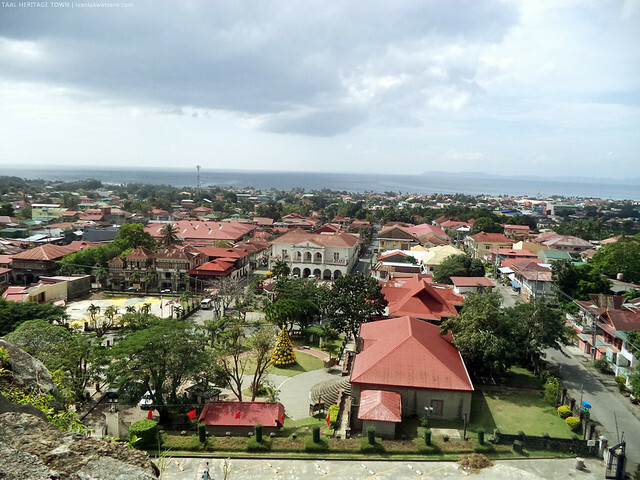 The heritage town of Taal displays a typical Spanish town setting—a central plaza surrounded by more important civic buildings such as town hall, church, public market and school. Casa Real, the town's old municipal building. 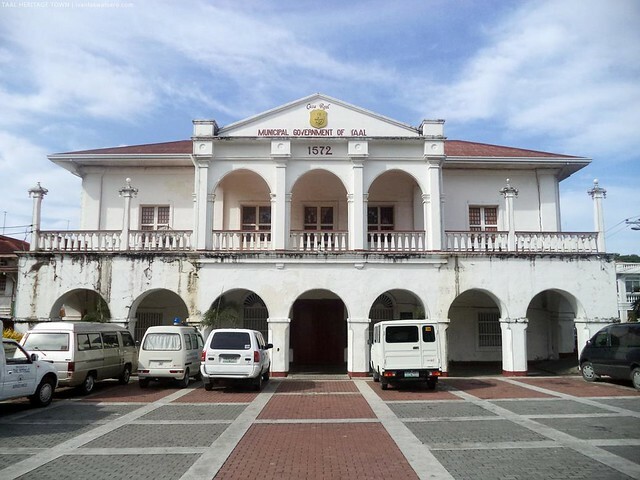 It houses the office of the alcalde (mayor) ever since it was built in the 19th century. Nothing's really spectacular on how the more than a century old building's appearance, but I'm sure it's more valuable than any overpriced government buildings in Makati. Another important building found along the plaza is Escuela Pia. 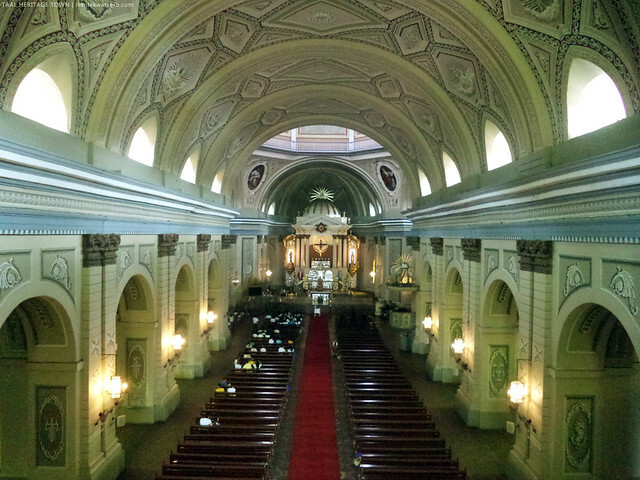 The building initially served as a place to hold masses while the basilica was under construction, but later on, it became a school. 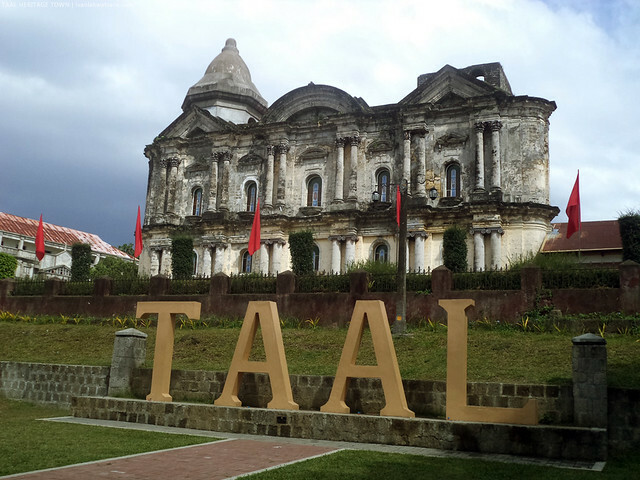 Now, it houses the Cultural Center of Taal Town. After strolling around the buildings surrounding the plaza, our feet then brought us to the side streets where more old structures can be found. We were walking, aiming for more old houses, when we passed by a certain karinderia that has "Batangas Lomi" posted in their window. And it looked delicious. We haven't had a good breakfast yet so giving it a try was the best idea. For those who do not know, lomi is a common noodle dish that originated in Batangas. 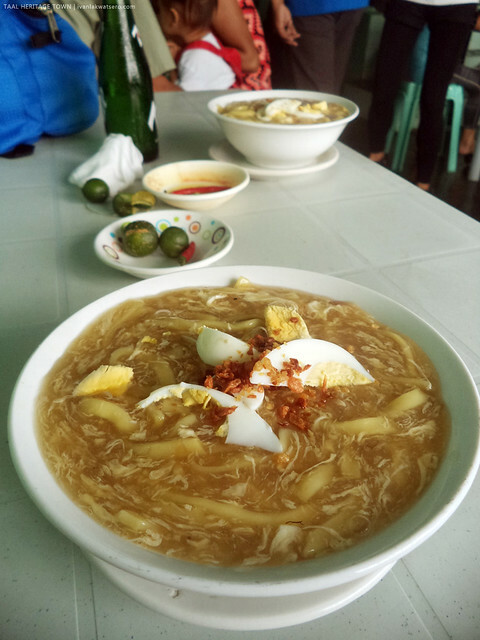 Batangas Lomi in Taal Town. Believe it or not, this is one of the best that I've ever tasted. Hindi ako nagbibiro! 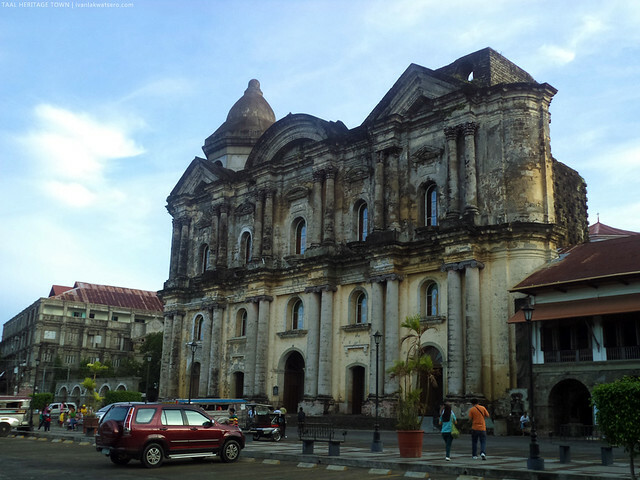 I'd like to recommend it to you when you visit Taal Town, the karinderia is located beside Casa Real, on its left side. That bowl of lomi perfectly hit the spot. It's authentic and filled with just pure goodness. Happiness can really be achieved when there's great satisfaction, and that bowl of lomi can be a good source of it. Aaarggh. Nagke-crave na naman tuloy ako ngayon. Soon after that delectable encounter with a bowl of lomi, we proceeded to our walking tour of the town. Using only a map, which I downloaded online, as our guide, we were able to locate most of the heritage houses. Actually it's not difficult to find these houses since most of them are concentrated in just one side of the town. From the central plaza, the first house we spotted was Casa Villavicencio. 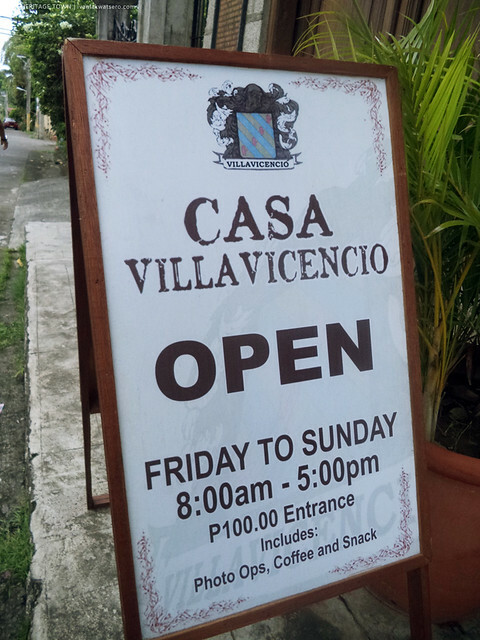 It's a heritage house owned by the influential Villavicencio family (yup, owner of Flying V gasoline company) that has been converted into a museum. The museum was open when we got there, so we might as well give it a go. Other than having the opportunity to see what's inside, the reason why we entered the museum is because of Richard's sales talk. Richard is the young enthusiastic tour guide of the museum. 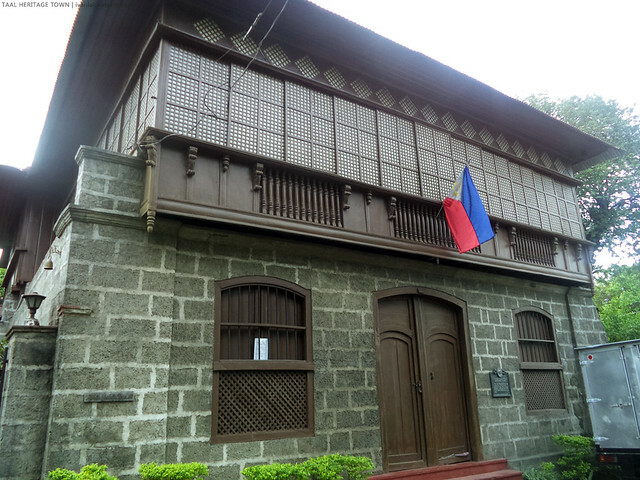 The tour inside Casa Villavicencio (P100) basically tells the story of Gliceria Marella Villavicencio, the unsung heroine of the Philippine revolution, and lets you have a glimpse of the typical Spanish house setting. Richard would also throw in some trivia and interesting stories about Taal Town, so I really find his tour much enjoyable. The casa has retained its original Spanish colonial ambiance with its old yet classy furnishing. the proper way of using the "chismosa" chair. 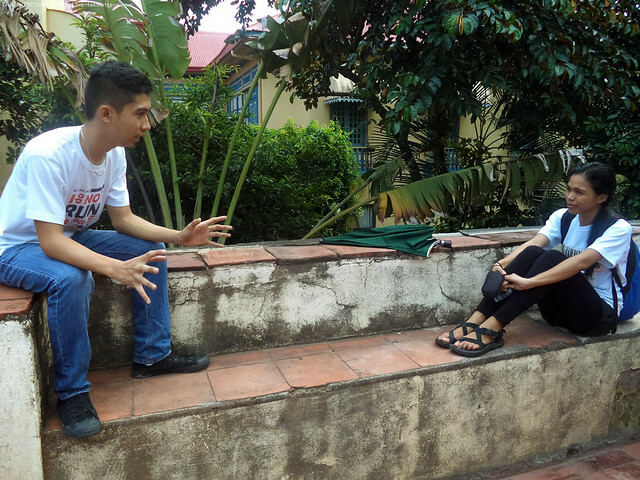 With Richard, the energetic museum guide of Casa Villavicencio. I commend him for his job well done. The fun tour ran for about 30 minutes, and was concluded with a fair snack. 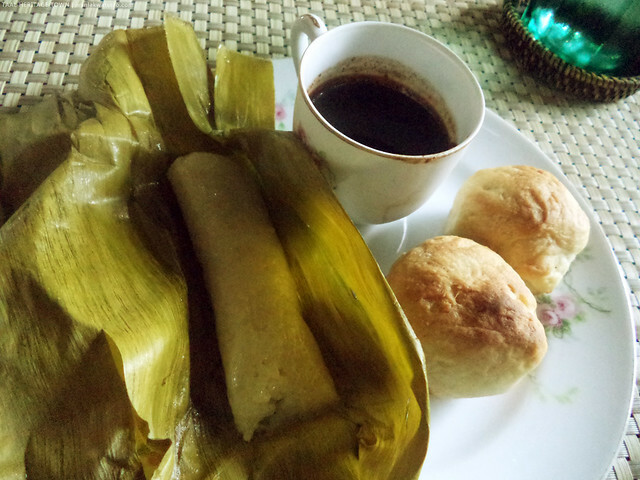 A sweet tsokolate drink coupled with suman and local bread/pastry. The museum tour includes a merienda of a suman, 2 bread, and a cup of sweet tsokolate. San ka pa! 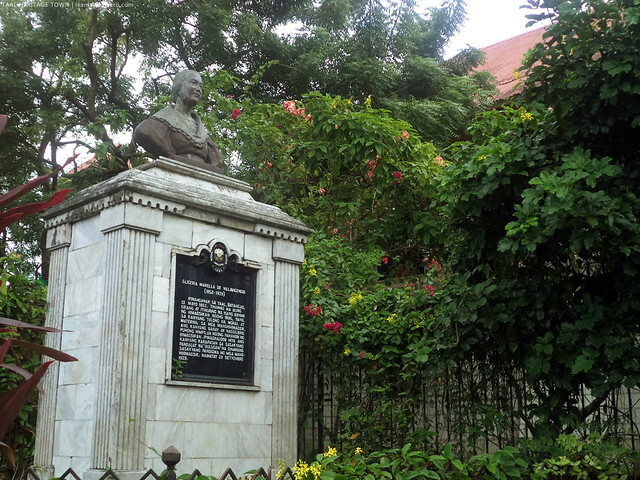 Outside the house is a monument of Gliceria Marella Villavicencio, one of the unsung heroes of the Philippine Revolution. According to history, she supported the revolutionaries by shedding her wealth and knowledge to their fight and thus giving her the title "godmother of the Philippine Revolution". From the Villavicencios, we then walked down the street leading to the outskirts of the poblacion, near the banks of Pansipit River. 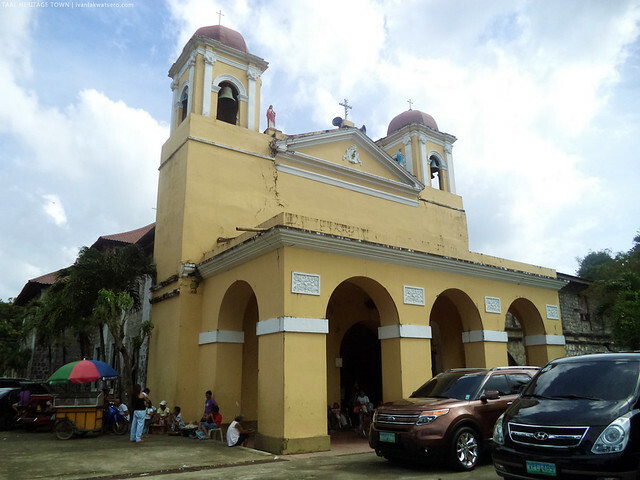 There is a church dedicated to the miraculous image of Mother Mary, known as the Our Lady of Caysasay. 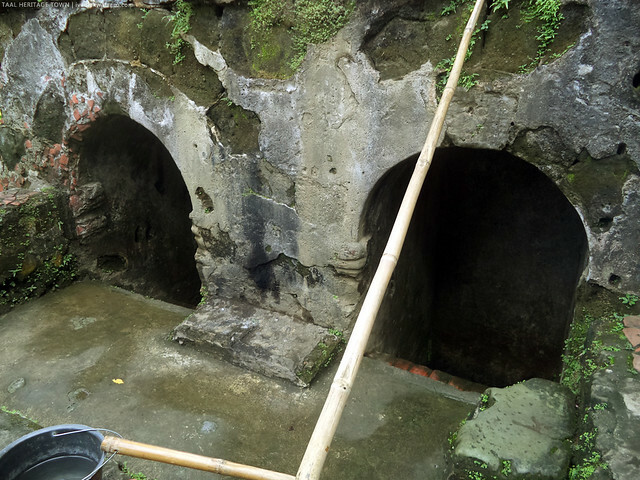 As per the locals, miracles and apparitions happened upon the discovery of the Marian image in Pansipit River by a local fisherman in around 1600s. 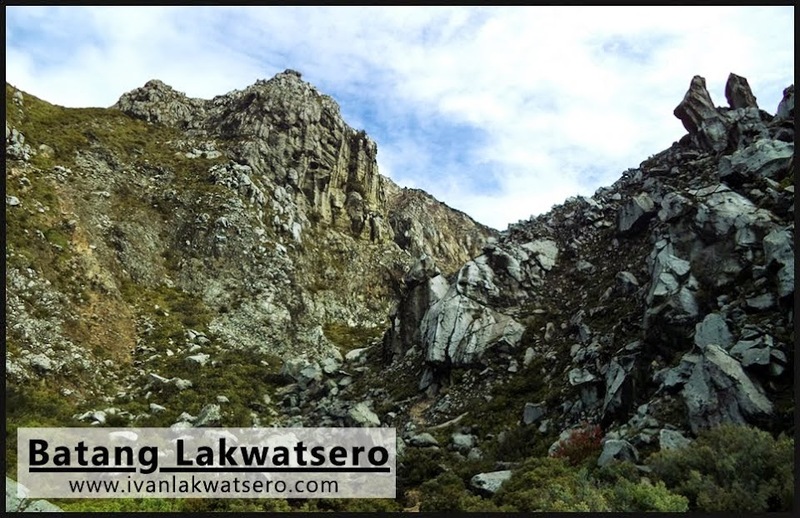 the image of the Our Lady of Caysasay was discovered by a local fisherman on Pansipit River. It is believed to be one of the oldest Marian image in the country. 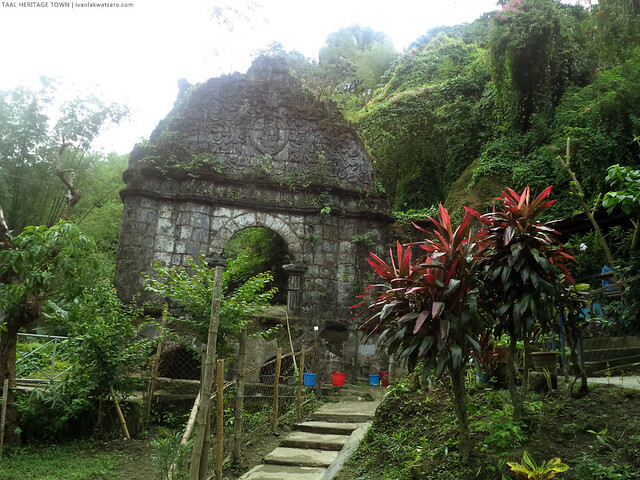 One of the popular stories about the Our Lady of Caysasay is its apparition on a hillside spring/well near Caysasay Church. Since then, the waters coming from the spring has miraculous healing powers. The place is now called Sta. Lucia Wells. Heading back to the main street, we continued our house-to-house tour of the town. 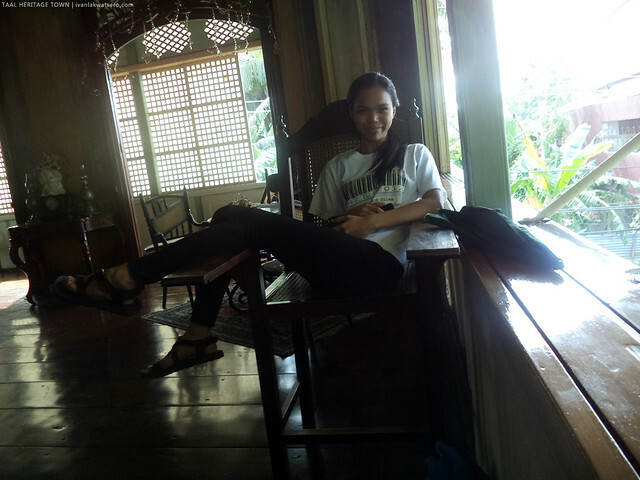 And our next stop was the most famous Galleria Taal or the Ilagan-Barrion Ancestral House. 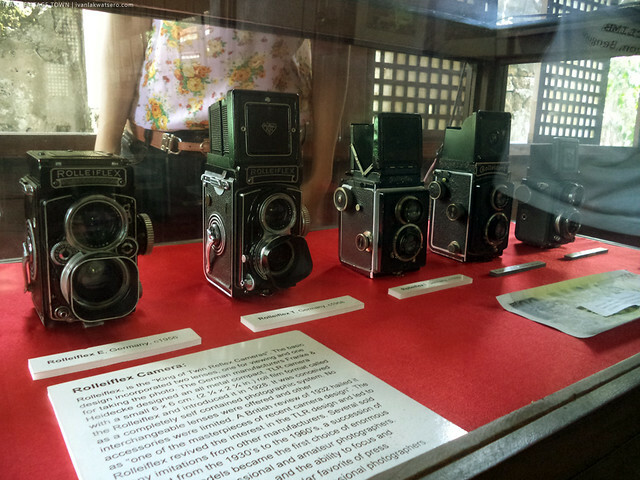 The heritage house, which is also converted to a museum, displays a rare collection of vintage cameras unlike any other in the country. 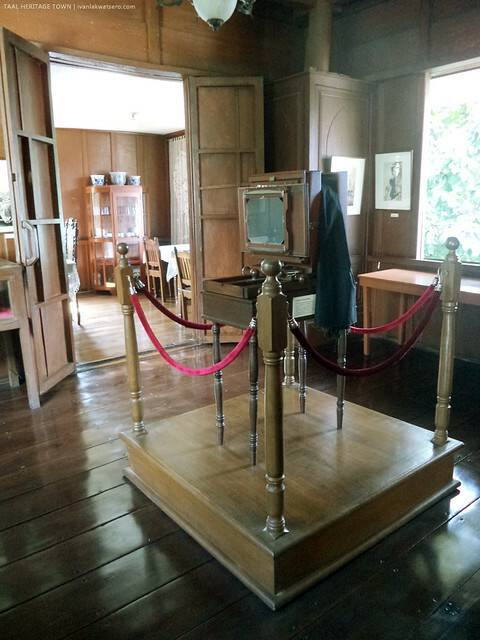 A fee of P100 lets us enter the gallery of an awesome priceless collection. 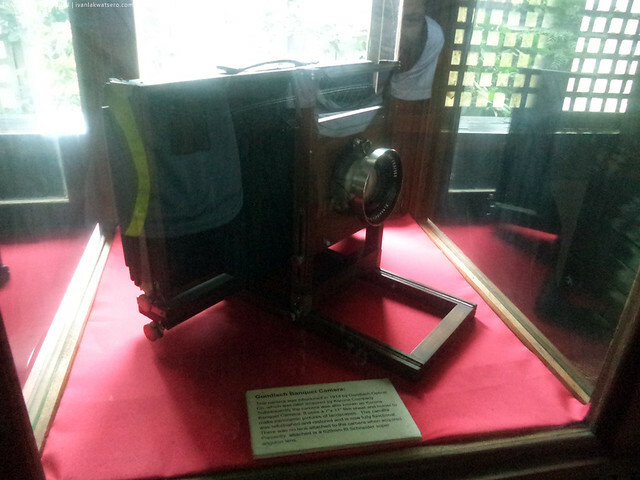 Dozens of old types and rare models of cameras were put on display. Some of which are too old and bulky that doesn't have any resemblance to what we use in these days. Old photo prints that are mostly black and white were also on display. Owner of this marvelous collection and the ancestral house itself is Manny Inumerable, great grandson of the original owner of the heritage house. Galleria Taal is probably one of its kind in the Philippines so missing it when you visit Taal Heritage Town would be a big crime. another old type of camera that uses a small table to work like a tripod. After our tour in the camera museum, we walked toward another heritage house just across the street. 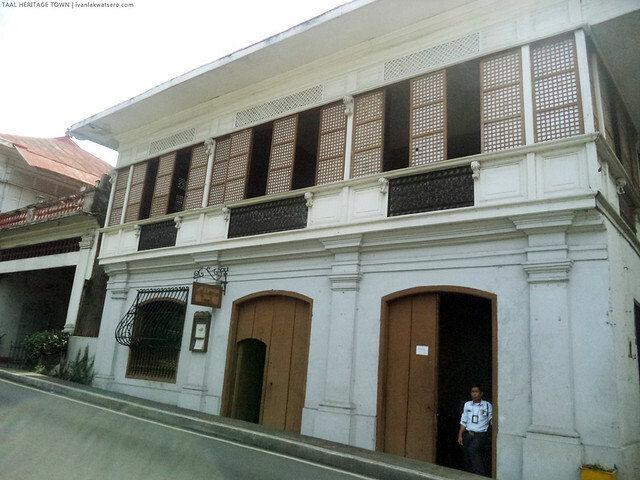 The Don Leon Apacible Ancestral House. 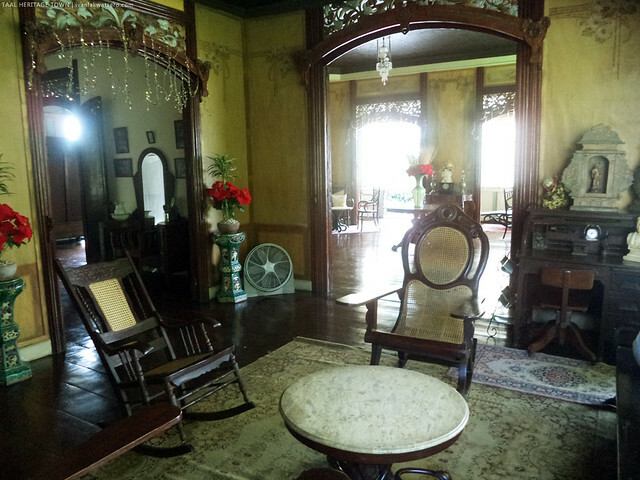 Being another museum-converted heritage house, its original Spanish colonial furnishing was preserved and put on display. Entrance to the museum is free, but you are expected to drop some on the donation box. Don Leon Apacible is also a prominent individual during the Philippine Revolution. His house became the meeting place of the resistance leaders, and he, himself, joined the fight. Another notable fact about Don Leon Apacible is that he served as Finance Officer under President Aguinaldo during the First Philippine Republic and also became a delegate in the Malolos Congress. When the Spaniards were dethroned in the Philippines, he joined General Malvar's forces against the American colonizers. Walking further down the street, we found the heritage house Villa Tortuga. It was unfortunately closed by the time we were there. Villa Tortuga did not become a museum, but rather turned into a bed and breakfast inn. I read online that visitors of this heritage house will be encouraged to wear colonial era costumes. Just choose one from their wardrobe. Sayang, we were not able to get inside this house, and wear those fancy costumes. It would've been an awesome photo opportunity sana, sayang talaga. 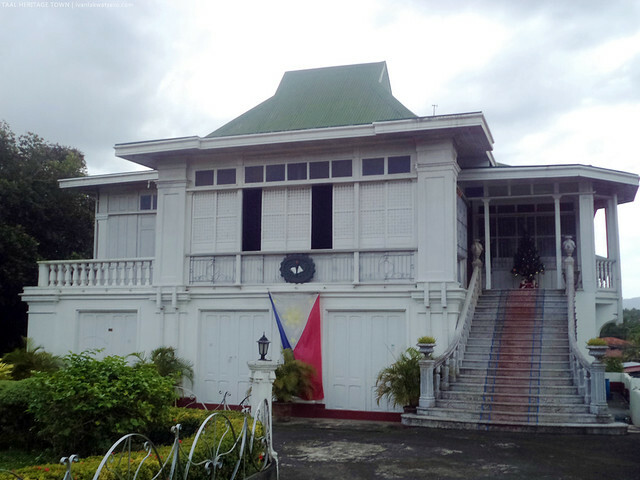 Anyway, standing next to Villa Tortuga is the house of another prominent individual during the establishment of the First Philippine Republic, the Marcella Agoncillo Heritage House. 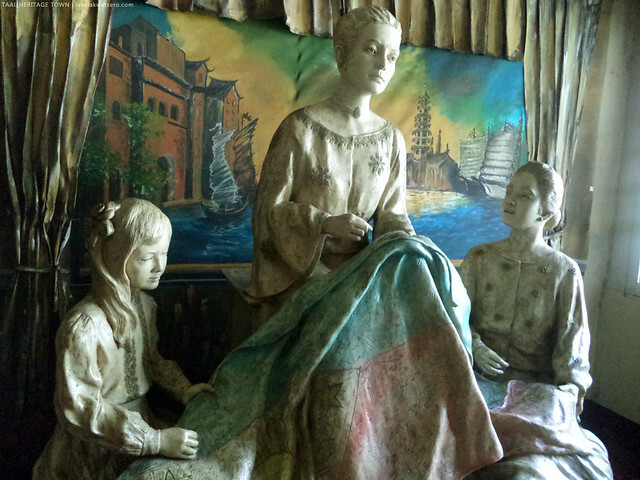 Marcella is the one who sew the first Philippine National Flag. A bronze statue dedicated to the maker of our national flag. 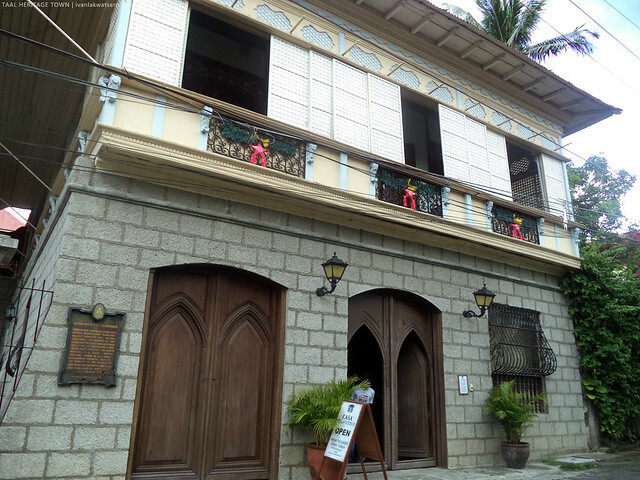 Just like most of heritage houses in town, this too has been converted to a museum, showcasing the interiors back in the days of Spanish Philippines. But this particular house also has an exhibit dedicated to the national flag, much about its history and greatness. 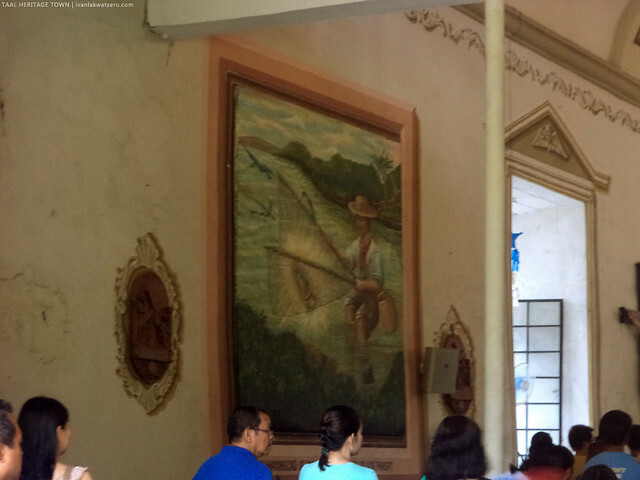 It is after all designated as a National Historical Landmark for the Philippine Flag. 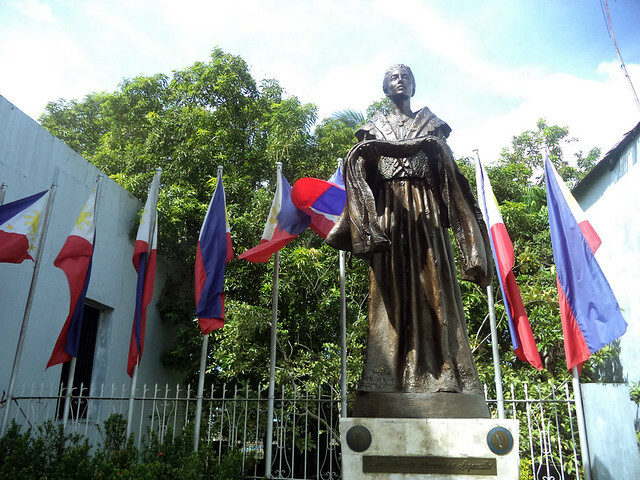 With the help of her daughter Lorenza, and Rizal's niece Delfina Herbosa de Natvidad, Agoncillo completed the Philippine National Flag in Hong Kong in 1898. The flag that was later on waved on the day of Philippine Independence. After paying a short visit inside the Marcela Agoncillo House, we further walked around the town in search for more houses. We spotted a few more houses including that of Gen. Ananias Diokno, which is in a very sad state. Gen. Diokno was the one responsible in transporting new arms bought from Hong Kong to aid the revolutionaries in the Philippines. He also led an expeditionary force to the Visayas against the Spanish forces there. 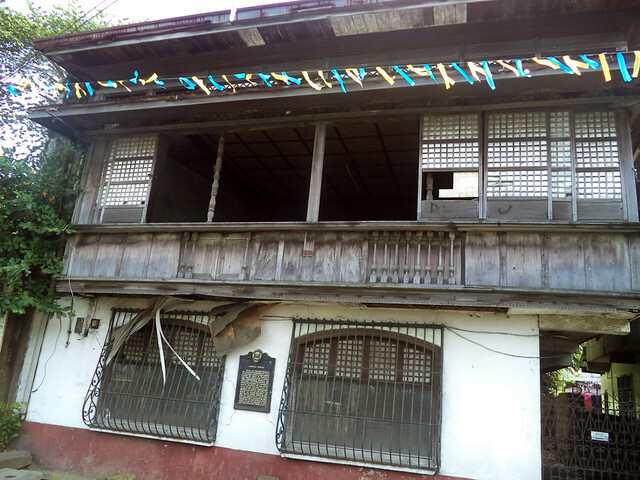 the neglected Gen. Ananias Diokno Heritage House. 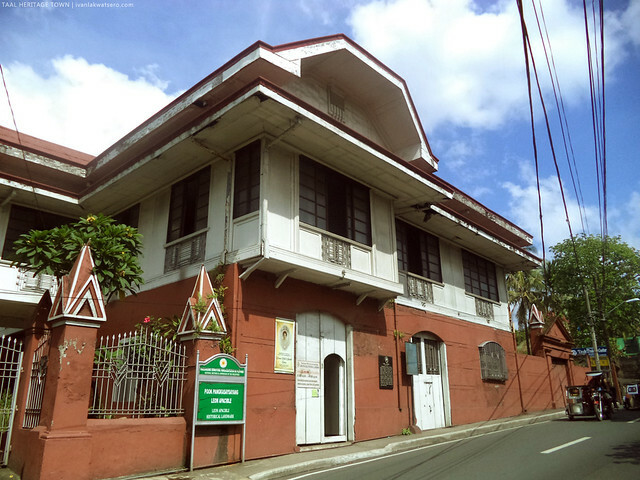 Other important heritage houses we spotted during our walk tour were the Gregorio Agoncillo Heritage Mansion and the Ylagan-Dela Rosa Ancestral House. Both were closed by the time of our visit. At 12:30 in the afternoon, we've seen much of the heritage houses. It was a tiring walk, but undoubtedly enriching. All I can say is that, we had a grandeur experience. Seriously. Being in Taal Heritage Town is like entering a huge museum— the old streets are the hallways and the heritage houses are the exhibit. Museums on one big museum (museumception—jowk). On a serious note, Taal town is a total heritage package that everybody must not miss. But wait there's more. There is one more thing that both of us yearn to do in this heritage town—that is to climb up the heights of St. Martin of Tours Basilica. So before we left, we headed to the church and did the thing. 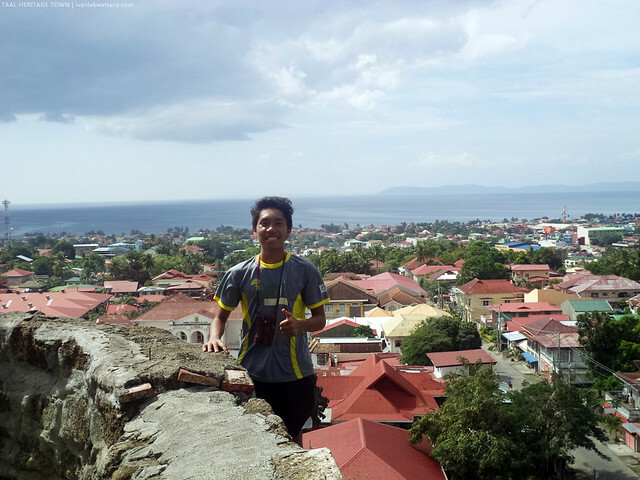 a tour of Taal Heritage Town is probably not complete without reaching that spot on top of the church. We were charged P40 each to be able to go up the church. It's pretty dark en route to the viewing deck. Next time you will be in Taal try, Tapang Taal and Longganisa. Hello. Nagday tour lang po ba kayo? How much yung expenses per head during your whole tour? Meron bang car park sa area?